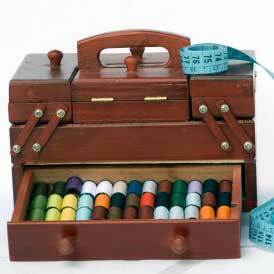 Find simple sewing projects perfect for the eager sewing student in this FREE eBook! This collection includes tutorials that range from upcycled totes to appliqud tops. Mason jar crafts are insanely popular and present right now but we promise you've never seen one this adorable and useful at the same time. The Mason Jar Dish Towel Pattern is lovely and simply too cute to miss! If you love making crafts using dish towels, here's one to check out! Decorate your kitchen with some kitsch and country flair when you make this DIY dish towel pattern. All you need is an old dish towel, some time, and a love of free sewing printables. You are going to love this adorable applique and free embroidery pattern! If you love this project, check out 24 Patterns to Make Dish Towels! Made this very quick and easy - then used same fabric to make heart shaped pot holder as a gift set. I'm looking for a pattern for a Kitchen aid stand mixer cover-up, anyone out there have one????? Hi jbrc, The link appears to work on our end - there may have been an error with your connection. Also, be sure to turn off any pop-up blockers.